§ 1 of only 100 Clean Energy Council “approved solar retailers” in the entire country which is huge comfort to consumers. We are well set up from an admin point of view to help you claim your $2225 Victorian government rebate if eligible. Ask us for our provider statement. Sunergy Solar is a family owned business and proudly support the local communities in which we operate. Sunergy Solar has 60 years of electrical contracting experience over three generations, plus vast commercial, off-grid and hybrid installation experience. We ship solar components Australia wide straight from our website. Travel doesn’t bother us. 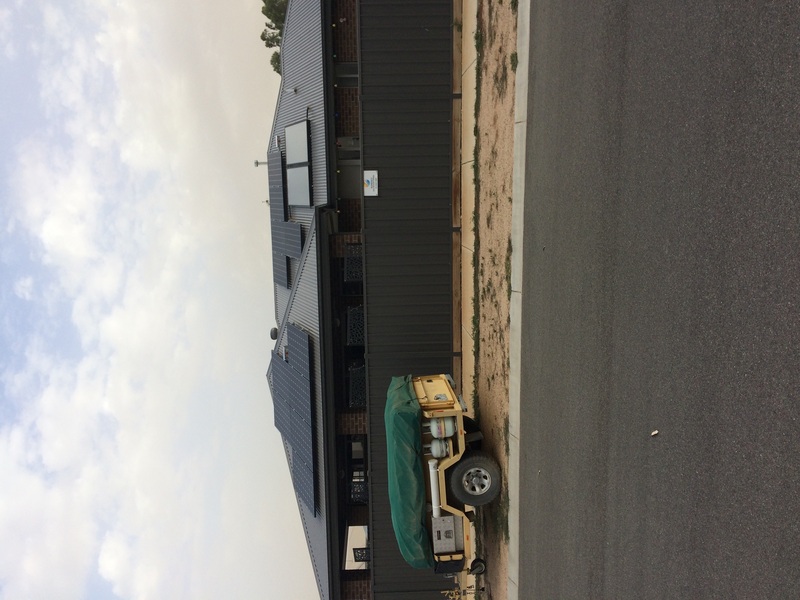 In 2018, our own crews installed in Mildura, Myrtleford, Swan Hill, into NSW and we regularly install in Shepparton, Echuca and Ballarat, as well as all around Geelong and the surf coast, Bendigo and Central Victoria. Don’t compromise your system with a cheap “local” sub-contractor. You are paying for the quality of the installation, the installation company, plus ongoing support. Our Off-Grid experience is vast and our largest project to date is a cattle farm in the Gulf of Carpentaria that is 2/3 the size of Victoria. We are large enough to undertake any size installation and small enough to care. Unlike Cowboys from interstate, high volume extreme pressure solar telephone sales or opportunistic door-knockers, we live and work in your community. You know where we work. We will see you in the supermarket, at schools and local events. We can comfortably look you in the eye with regards to how we conduct ourselves. Really excellent service. I put in a request through LG Solar to be contacted by an installer who sells their products as I was interested in these panels. I had already received multiple quotes from different installers for different panels and inverters and combinations etc. but no one who really sold LG regularly. Sunergy Solar was the only company to actually give me a breakdown of the output I could expect based on a variety of scenarios (i.e. all panels on east roof vs west vs split). Booking it in was quick and simple, they are very responsive via email or phone. Installation went ahead as planned, no issues. They consulted with me on the day about the inverter location and we decided to place it on the opposite side of the house from the meter box as that was the only place with shade. Every other company had still wanted to put it on the sunny side as it meant they wouldn't have had to get up in the roof. Sunergy had no issues with that extra bit of work and now my inverter is nicely shaded and protected from the elements. Even post installation they were great, I had the panels installed about 2 weeks ago and I already have received all my paperwork from them and have it submitted to Solar Victoria for the rebate. From deciding to go with panels to the post installation service, Sunergy couldn't be better. The staff were very professional and helpful in everyway. Bryce, the salesperson could not have done any more for me. He explained everything in detail from beginning to end. Bryce even came to my home the day they were installed which I didn't expect. He clearly explained that any queries regarding system, don't hesitate to call. Tony, the Manager was most informative re the business and history which have been in operation for over a decade. The installers were very good, very professional to me and in their work. It was good to choose Sunergy as they look after everything, not only the sales but the installation and the aftercare. The receptionists were most helpful. My needs were mainly looked after by Maria who was most helpful. Thank you staff. Really professional and first-class service provided. Everyone who has seen the system is in awe of it. After an initial delay waiting for hardware and setting an installation date everything ran like clockwork. The crew turned up on time and with enough people (5), to get the job done quickly and efficiently. They were all Aussies so easy to communicate with. They had good experience and were nice enough to tell us of the condition in our roof cavity (good luckily.!) . The tidy up was spotless. Inspection was done two days after install. Felt professional. 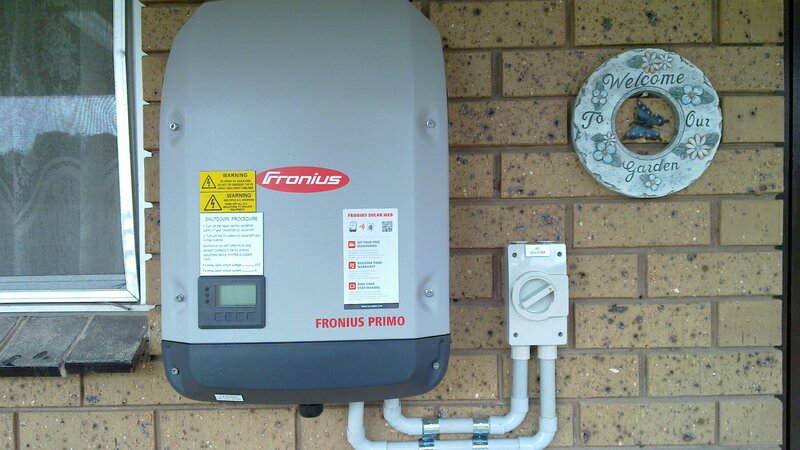 They were able to supply a top shelf fronius inverter and LG panels for people who want quality and longevity. Hi, we chose the supplier because of the quality of their panels and inverters. 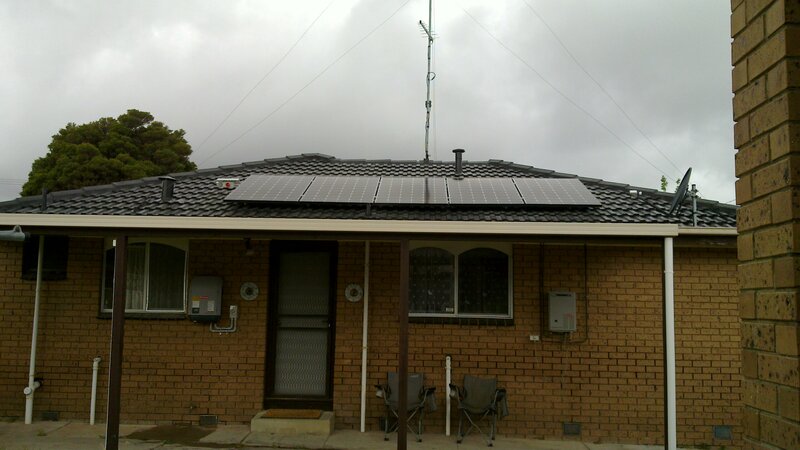 We have had solar before and at the time chose the most efficient panels and inverter although they were expensive. We were pleased of the outstanding results and want to duplicate this if possible in our new house. They were also very prompt in responding to our initial inquiry and were very professional. Kept me informed all the way explained all areas of how the system worked. Danny the sales person was very helpful and knowledgeable. He suggested downsizing our solar system to a 4kW and installing a heat pump for hot water, to further reduce our electricity usage. He provided a decent discount and I was happy with the price after comparing with similar systems by other suppliers. The system was installed fairly quickly and without any issues. We had to wait some time for Powercor to inspect before the system could be turned on, but this is no fault of Sunergy. 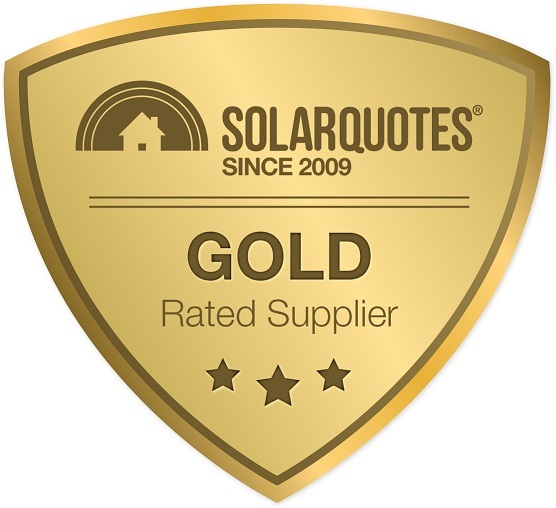 We were recommended by a recent Sunergy customer to contact them for a quote after being in touch with several other solar retailers. 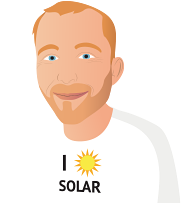 John was prompt in assessing our energy needs and provided a competitive quote that detailed quality components compared with other potential providers. John, Ana and the Crew from Sunergy were great to deal with and nothing was too much trouble. The installation process was very professional and we are thrilled with the results. We would recommend Sunergy to anyone contemplating an off grid solar energy solution. To start with a sales person (qualified electrician/installer) offered to come out to the house to discuss an installation, free of charge, something a lot of companies will not do and will assess your site form Google Maps images only, something which I believe leaves you open if they turn up to install and there are issues they didn't foresee earlier and will charge for. With a person coming to my house we were able to sort out any potential issues, and design the system accordingly, leaving no nasty surprises on the install day, which ensured it all ran smoothly. The installation team of four arrived at 9am on the dot as they said they would. They were fast, friendly and efficient, going out of there way and taking extra time to ensure the panels were not only installed correctly, but to visually be square and true to the lines of the roof. There were some issues with the roof sheeting, so unprompted the guys worked in socks on a hot tin roof all day to minimize those issues.